It does indeed look like the date is 1884, but check out the "Paid" stamp's date of 21 Feb 1897? It could be '87, though, the stamp is not very well done. The clerk's flourishing handwriting was typical of that time. The the drop from the "8" or "9" continues down to the "7". 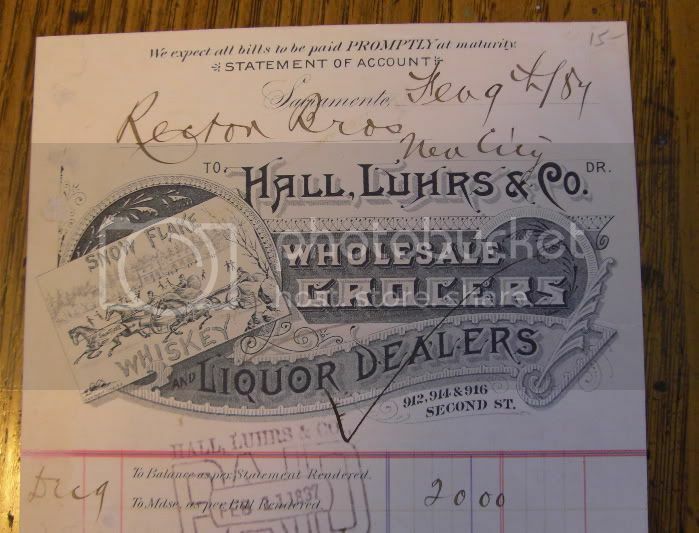 Ok, I just examined the receipt under lighted magnification and it is dated 1887, not '97 as I stated in the original post. It had to be my 63 yr old eyes deceiving me. Often times a cursory glance fails to tell "the rest of the story".